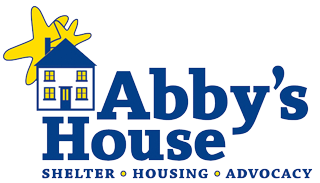 Thank you for your interest in volunteering at Abby’s House! To apply for a volunteer position, please complete this form and return it by clicking submit at the bottom of the application. A red asterisk indicates the information is required in order for us to process your application. Incomplete applications will not be considered. If our Volunteer Coordinator determines that your interests, skills, and availability meet our present or near term needs, you will be contacted within a week of submitting your application. Given the mission of Abby’s House and the sensitive nature of our work, volunteer selections and roles are carefully assigned. If applying as a group or for a community service requirement or project, please complete the following. Please note we are only able to accommodate groups of 8 or less. Is there anything you would like to tell us or that we should know in considering your application? Volunteer Agreement I agree that as a volunteer/intern at Abby's House, I will respect the privacy of the guests/residents of Abby's House at all times. I will not solicit information from guests/residents, take photographs, or use personal conversations for research papers, studies or publications without the authorization of the Executive Director. I agree that I will not share my personal information (i.e.. address, email, phone, etc) with any of Abby's House guests/residents nor will I socialize with guests/residents beyond the time I spend as a volunteer at Abby's House. I understand that Abby's House is not responsible for any loss or injury that might occur. I understand that I am bound to protect the confidentiality of all Abby's House information at all times.